Slots have been a favorite of players ever since they were first introduced to the larger public. The appeal of this type of casino game is certainly easy to explain. There are no complex rules for players to follow which makes slots a suitable alternative for casino novices. The outcome of each spin is completely random, so practically no decision-making is involved in playing the game. Players are not required to possess any previous experience or skill as everything is based on luck. All these factors have further contributed to the popularity slots enjoy today. This type of game is, in fact, so popular that it has made it to the catalogs of all reputable online casinos where players get to choose from hundreds of enticing titles, each one offering a unique theme, different betting limit, and additional features. Online slots offer greater convenience and flexibility as the titles are typically available in both desktop and mobile formats. As there are no major deviations in the rules, players who have played slots in brick-and-mortar venues would hardly face any issues figuring out how the games work, when played online. Of course, each player’s objective is to collect a payout. In order to win, one is required to land a winning combination of matching symbols on the reels or the vertical sections that rotate when the player clicks on the Spin button. With most online slots, the identical symbols need to line up on an active payline. 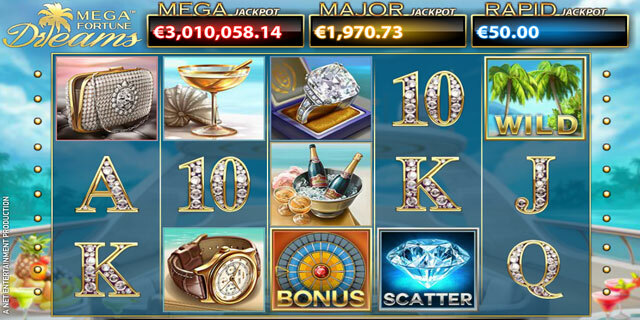 The number of paylines a given online slot offers serves to indicate the number of possible winning combinations in the game. This means the more paylines there are, the greater the player’s chances of hitting a winning combination of matching symbols on one or several lines. At online casinos, players are able to choose from a wild variety of titles. Some of them have fixed paylines, so it is necessary to bet on all of them per every spin. Others have adjustable paylines, allowing slot fans to select which lines to bet on. Players do need to keep in mind that only the active lines pay out on winning combinations. If identical symbols land on a deactivated payline (i.e. no bet has been placed on the line), it will not pay. Once you have selected a title that suits your preferences, you need to adjust your coin denomination and bet level. Of course, coin denominations vary from one title to another but the most widespread options include 0.01, 0.02, 0.05, 0.10, 0.20, 0.50 and 1.00. Another thing to keep in mind is that the higher the coin denominations the game utilizes, the greater the slot’s volatility will be. In other words, online slots with higher denominations hit winning combinations less frequently, but the payouts are more substantial. When choosing an online slot, players are highly recommended to consider the overall size of their bankroll for the betting session. Prior you start playing you have to choose how much you will bet per spin. There are two factors to consider – credits/coins per payline and the real money value of one credit/coin. Keep in mind that betting more credits per line will do nothing to increase your chances of winning. Last but not least, players are required to select which paylines to activate, provided that the slot features adjustable paylines. It is important to remember betting on fewer paylines will reduce the probability of landing winning combinations of matching symbols. There is no need to keep track of the paylines, as winning combinations are displayed on the screen after each spin while the overall amount players have won is shown below the reels. The outcome of each spin is determined by a program, called Random Number Generator. The latter generates random numbers which correspond to the symbols on the reels and performs complex calculations on the basis of rather long algorithms. The outcome of each spin of the reels is affected neither by preceding, nor by subsequent spins. One of the greatest advantages of enjoying slots at online casinos stems from the fact there is a wider range of titles players can choose from. The titles offered by established web-based casino operators are extremely diverse in terms of themes, storylines, betting limits and special features. However, slots are usually classified into two major categories, depending on the number of reels incorporated into the game. Classic slots are the more simplified variant as they feature only three reels, or three sections that rotate vertically. What is common about classic slots is that they typically offer limited betting options as there are fewer paylines to activate and bet on. The oldest classic slots have just one payline. Yet, it is also possible to find classic slots where three or even five paylines are available. Being simpler, classic slots are considered suitable for inexperienced players as their interface is easier to comprehend. Also, it is important to mention that 3-reel slots tend to pay out less often but the winnings they offer are more substantial. The second major category consists of the so-called video slots. These have five reels and in many cases, feature between nine and a hundred (sometimes even more) paylines. Depending on the slot title, the paylines are either fixed or adjustable. Video slots usually have extra features to offer, which further boosts players’ profitability. 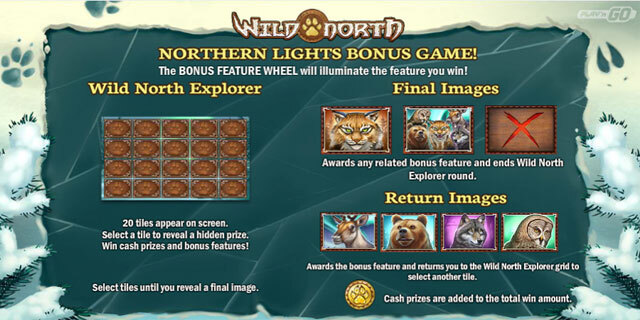 These include bonus games, special symbols like scatters and wilds, and bonus rounds of free spins. Many 5-reel slots impress with their higher quality. Once you load one such game, you will immediately notice how crisp and vibrant the graphics are. Also, a large number of 5-reel slots feature animated symbols and start with short animated clips which aim at introducing players to the general theme of the game. The authentic sound effects further improve players’ experience. The interface is usually quite user-friendly, so that even less experienced players can get the hang of it. Some 5-reel online slots offer a greater entertainment value due to their 3D visuals. The rules of play coincide with those of standard slots but the key difference is that slots in this subcategory come with more in-depth, three-dimensional graphics and feel. Players will also be able to find video slots with progressive jackpots attached to them. These are among the most sought-after titles at online casinos because they come with huge prizes, which increase incrementally with each bet players make. However, slot fans are often required to wager the maximum amount allowed per spin in order to qualify for the jackpot. Because of this, progressive slots are known to have higher volatility and pay on regular wins less frequently. 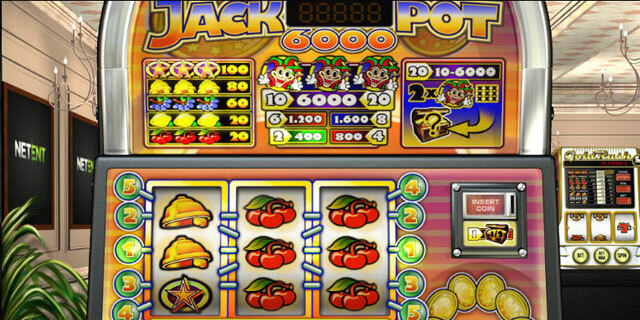 Progressive jackpots are still worth slot fans’ time since they often escalate to reach millions. Prior to placing real-money bets on any given online slot, players are recommended to first take a quick look at its paytable. The latter contains useful information on the game’s winning combinations and the coin amounts that will be paid when a given combination ends up on the reels. The coin amounts you win usually depend on the number of identical symbols that land on the paylines. Some symbols offer greater payouts than others. With most slots, it has become somewhat of a standard for high playing cards to be used as the lower-paying symbols. Note that with many online slot titles, the bet lines pay only if the identical symbols land in succession from leftmost to right. Many slot novices falsely believe the payout is directly related to the overall amount they have bet. But this is hardly the case. For instance, a given player bets one coin/credit of 0.10 on ten paylines which makes for a total bet amount of 1.00. The payout for five identical symbols landing on any active payline is listed as 100 in the paytable. Thus, if the player hits those five symbols on a line, they will collect 100 credits on this round if they have wagered a single coin in the spin. However, the amount of money the player earns is also related to the coin denomination they use. 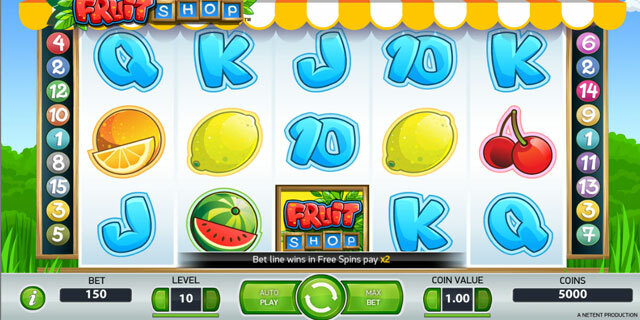 In this case, the hypothetical player has bet one coin per line and will collect $10 on this spin (the 100 credits for five matching symbols on the payline are multiplied by the coin denomination of 0.10). With online 3-reel slots, the paytables differ from those of multi-line video slots and are actually rather simplified. You will see the symbols are listed in descending order starting with the highest paying symbols and proceeding from there. Let us assume the highest paying symbol on a fruit-themed, 3-reel slot is the cherry and you need three of those on the payline to collect 100 coins. However, if you bet two coins per spin, you will collect 200 coins on this round, but if you bet three coins, your payout would amount to 300 credits. It is of crucial importance for slot players to understand how their winnings are paid. Convenience and diversity are hardly the only reasons why so many slot fans choose to engage in their favorite game at online casinos. Online slots have plenty of extra features which not only help players turn more substantial profits, but also contribute to the entertainment value of the available games. Speaking of games, many online slots feature additional bonus games, which load in a separate screen and usually offer guaranteed cash prizes, free spins or multipliers of the profits won on the last spin. These bonus games differ from one title to another. In many cases, players are required to pick from several hidden items like boxes, treasure chests and so on, with each item containing a given credit amount. The bonus games are triggered at random by landing several identical bonus symbols on the reels. The most simplified variant of a bonus game is the so-called Gamble feature, which is most commonly found in BetSoft slots. It enables players to double or even quadruple the profits they have earned on the last spin by playing a coin-toss game or by guessing correctly the suit’s color of a face-down card. Wild and scatter symbols are among slot fans’ favorites. Wild symbols play the same role as the jokers in a deck of cards as they can substitute all other symbols (with the exception of the scatters and the bonus symbols) on the reels to help players hit more winning combinations on activated paylines. Unlike the wild symbol, the scatter does not necessarily need to land on an active payline to do its job, which is to unlock extra features like rounds of free spins or even interactive bonus games. The majority of online video slots have a multiplier feature which boosts players’ winnings by a predetermined amount. Multipliers can double, triple or quadruple players’ profits on a lucky spin, but there are online slots with even bigger multipliers of 100x or 1,000x the winnings’ amount. Spinning the reels from the comfort of one’s home is certainly convenient but it gets better. Most reputable online casinos are compatible with mobile devices that run on widespread operating systems the likes of iOS, Windows Phone OS, and Android. This enables slot fans to engage in their favorite game from all locations, anytime they like. What is more, respected software providers have adapted their most preferred slot titles for mobile devices like tablets and smartphones. This is to say, players will enjoy even crispier graphics thanks to the higher resolution of the mobile devices’ screens. The games are optimized so that they can fit the smaller screens of smartphones and tablets alike. Other than that, players will hardly notice any striking differences in terms of gameplay and features. 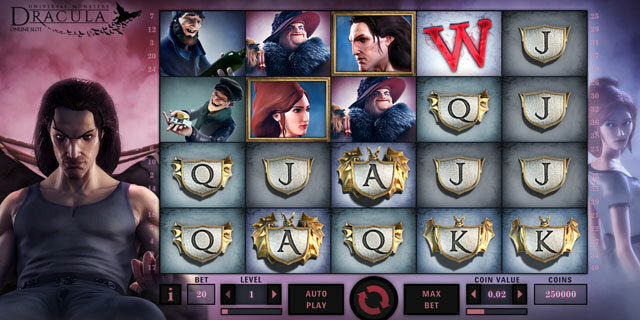 The interface of mobile slots coincides with that of the desktop games, not to mention, there is also the option to test the titles in Practice/Demo mode. Some of the most well-known online casino operators in the industry offer their players downloadable mobile applications for widespread devices running on iOS and Android. On many occasions, installing the application is a better idea as it may grant players access to a wider range of mobile slot titles. There are several things to factor in before you commence spinning the reels of online slots for real money. Of course, graphical presentation is less important but should not be underestimated. Players should consider the software provider that has developed their online slot of choice. Choosing titles that are courtesy of key industry names like Microgaming, Playtech, BetSoft, NetEnt, and IGT is always a good idea not only because their slots are skillfully animated, but because the said software suppliers are well-known for their reliability. If the online casino you have registered at runs on software developed by one of the aforementioned providers, you can rest assured you will receive fair and transparent treatment. Needless to say, collecting a nice payout is what all slot fans are hoping for. In order to turn a profit, players are recommended to always check their preferred slot’s payout percentages in advance. The payout percentage denotes how much of each wager made on a given slot will be returned to players in the long term. For instance, NetEnt’s Diamond Dogs slot has an average payout percentage of 96.50% which is to say the game is expected to return $960 on average out of every $1,000 wagered. However, it takes hundreds of thousands of spins until the player return of the slot evens out to the listed percentage. Despite that, it is still recommended to opt for games with higher payout percentages. Volatility is another factor to consider. Some slots have higher volatility (also called variance), other come with lower volatility. Why is this important? Volatility may be an indicator of how long your bankroll would last when you play a given online slot. Slots with higher volatility may exhaust players’ bankrolls more quickly as winning combinations land on the paylines less frequently. Players on a budget should probably opt for slots with lower volatility where the payouts are smaller but winning combinations occur more often. Last but not least, when choosing an online slot, it would be a good idea to check how many paylines it has, whether these are fixed or not, and what coin denominations are available in the game. Slots with lower coin denominations typically offer smaller payouts while those with higher denominations come with higher return rates on average.